Growmark opened a rail distribution terminal last fall at Progressive Rail’s Iowa Traction Railway yard in Mason City, Iowa. Photo courtesy of Growmark. Growmark’s Kevin Carroll won’t soon forget the winter of 2013-14. That winter – the one of the polar vortex – tested Growmark and other propane suppliers at an unprecedented level. Of course, sourcing propane over long distances by truck isn’t the most economical approach, Carroll says. Greater efficiencies are desired than the ones achieved through trucking. So, in the new propane supply environment – one of diminished interest from pipeline companies and record-high supply – suppliers are turning toward rail to make distribution infrastructure investments. Rail infrastructure related to propane has evolved rapidly over the last couple of years. New terminals are being constructed. Existing terminals are being repurposed. And suppliers are eagerly exploring the opportunities that remain to enhance regional supply via rail across the United States. Those companies with propane interests that invest in rail infrastructure must also be willing to provide value to both ends of the supply chain, adds Andy Ronald, vice president of commercial development and national accounts at Crestwood. In addition to propane marketers downstream, Ronald says, producers, refiners and railroad companies must also stand to benefit from rail facility investments. 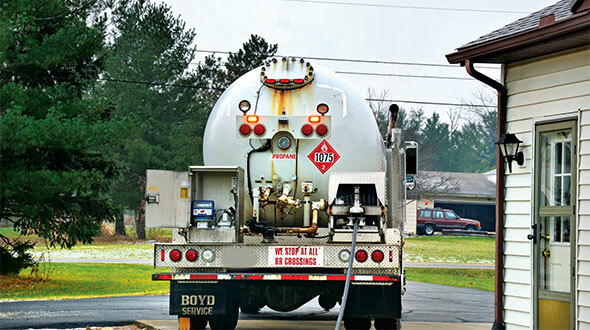 Rail used to be a peak-shaving vehicle for the propane industry, according to Ronald, whose company opened a propane rail terminal last year in Davisville, R.I., and one this spring in Rose Hill, N.C. 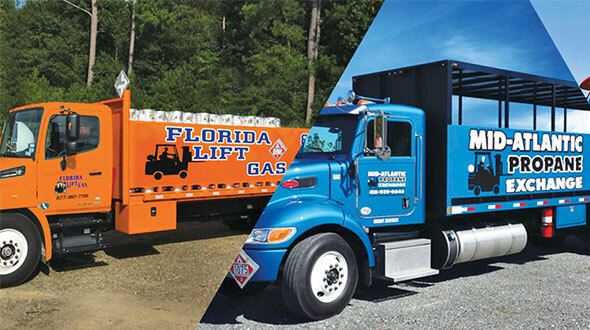 The Rhode Island facility contains three 60,000-gallon storage tanks and features a dual truck rack that allows the loading of up to 50 trucks per day. These are just two recent developments related to the distribution of propane by rail in the U.S. In another investment, Growmark completed a 2015 upgrade to a Canton, S.D., terminal that it acquired from Magellan Pipeline Co. The terminal provides storage capacity of more than 300,000 gallons and the capability to fill two semi-truck tanks simultaneously, according to Growmark. In addition, Growmark completed a small terminal last fall in Paulding, Ohio, adding rail service to the location as a co-owner of the facility. Growmark opened a rail terminal at Progressive Rail’s Iowa Traction Railway yard in Mason City, Iowa, as well. And the list goes on, from the strategic terminals CHS built across the Upper Midwest to facility investments like the one Inland Fuel Terminals made in Plymouth, Conn., or Sea-3’s plans to expand and repurpose terminals in Newington, N.H., and Tampa, Fla. In fact, according to market research firm ICF International, rail moved about 2.9 billion gallons of propane in about 92,000 railcars in 2013. The 2.9 billion gallons potentially represent as much as 20 percent of all the propane gallons used in the U.S. that year, ICF International adds. The figure is up 10 percent since 2011 and up 27 percent since 2009, according to the firm. Rail is proving to be particularly valuable in markets containing propane production sites. So, what other factors make for a viable propane rail project? The enhanced rail distribution network that’s emerging in the U.S. is poised to serve propane marketers for years to come. Still, Ronald argues that the rail terminals that experience the longest-term success will be the ones that can provide markets between 20 million and 40 million gallons per year. Rail facilities that offer less may eventually struggle to compete, he says. A number of the new or repurposed rail terminals are not constructed to provide such annual volumes. Yet, they’re helping to fill voids in markets where supply was lacking. Voids created by pipelines have driven a number of investments, including a $24 million response by CHS to the Cochin Pipeline reversal. CHS invested in five terminals across Minnesota, North Dakota and Wisconsin as a direct response to the loss of the Cochin Pipeline, which delivered hundreds of millions of gallons of propane to the Midwest each year, including 323 million in 2013, according to ICF International. Rail isn’t a perfect solution, though. 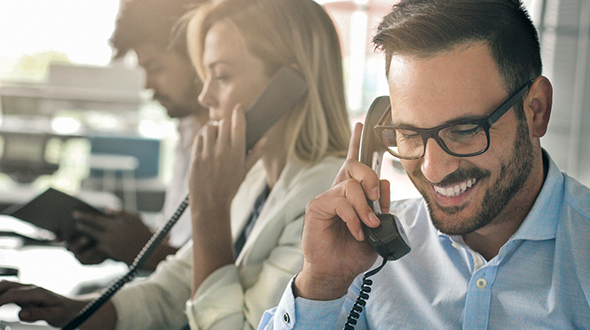 “Even with all of the efforts CHS has made, in times of peak demand, there may still be occasional outages due to demand and location of product,” Combs says. Rail, however, makes sense as a solution to transport natural gas liquids (NGLs) from shale plays to demand areas, according to Combs. Growmark’s Carroll anticipates more rail facilities to come. The challenges of building or extending pipelines tend to push suppliers to rail, Ronald adds. New or enhanced rail infrastructure isn’t limited to the U.S., either. As an example, Plains Midstream Canada is expanding its Fort Saskatchewan facility and incorporating a truck and rail terminal there. A new 55,000-barrels-per-day propane-plus fractionator at an existing Pembina Pipeline Corp. fractionation and storage complex in Redwater, Alberta, is another Canadian development with rail implications. 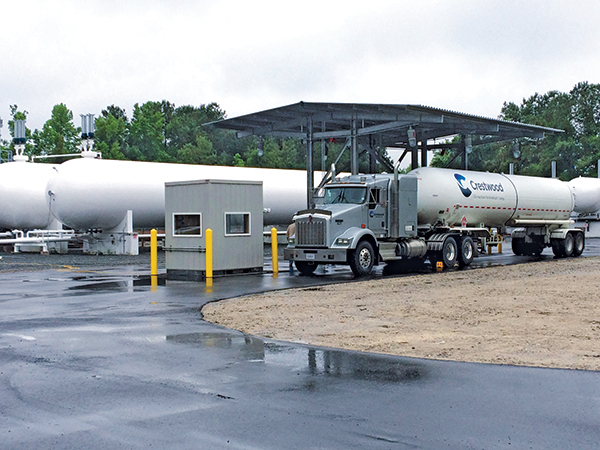 Crestwood opened its Rose Hill rail terminal in Rose Hill, N.C., just east of the Dixie pipeline. 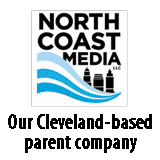 The company says the new facility provides propane marketers across North Carolina and the region with much-needed product reliability. It brings supply to North Carolina, South Carolina and Virginia from multiple shale origins. 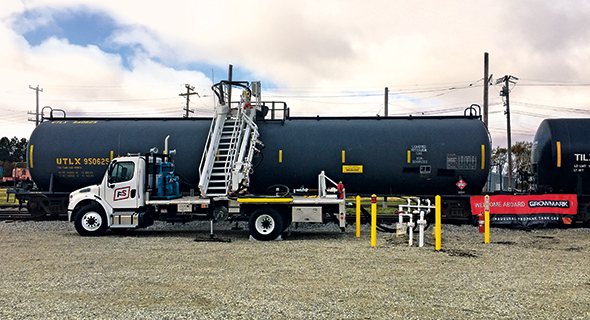 Andy Ronald, Crestwood’s vice president of commercial development and national accounts, says the location provides propane marketers with more convenient rail service seven days a week. According to Crestwood, a two-spot truck rack, a five-spot rail rack and 240,000 gallons of on-site storage allows for fast loading of up to 40 trucks per day while eliminating wait times in peak periods. The facility was built to ensure loading times of 15 to 17 minutes for two trucks, the company adds. A fully automated data transmission system also provides users with accuracy and timely information. Max Johnson, Crestwood’s supply and asset manager for the Southeast, says activity is already ramping up at the new terminal. “Our two-spot truck rack and five-spot rail rack are already in use, and activity is moving into high gear,” Johnson says in a press release. 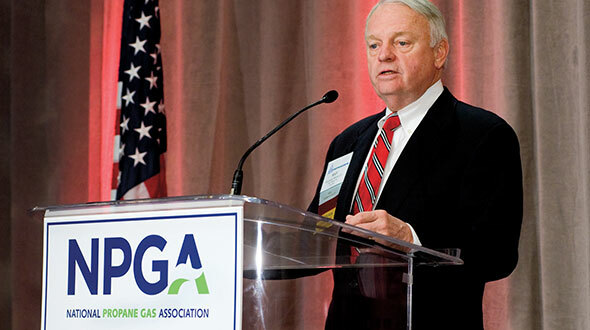 The National Propane Gas Association’s (NPGA) Rail Advocacy Task Force formed in 2014 to enhance relationships with railroads and the Surface Transportation Board (STB), a Department of Transportation agency that regulates the railroad industry. Andy Ronald, the vice president of commercial development and national accounts at Crestwood, is in his second year chairing that task force. NPGA has met with the STB to establish a rapport with the agency, he says, and the task force has outlined goals for 2016.